The Diploma in Corporate Financial Management introduces non-finance executives and managers to all the key aspects of financial analysis and value based management. You will learn the fundamentals of finance: how to read financial statements, how to analyze them, the concepts of discounting and net present value and other techniques that companies use when evaluating investment opportunities. You will learn how companies are valued in financial markets, what affects their value and how you can make decisions that increase company value. We will also discuss companies’ financing options and learn about tools to analyze mergers and acquisitions. After the program, you will be better positioned to participate in a company’s financial decision making and contribute to its management in a value creating manner. The 2017 program received excellent customer feedback. Instructor Matti Suominen's knowledge and expertise, suitability of content and teaching skills and methods all received a full 6.0/6.0. The 2017 participants considered that their level of expertise in the different topics covered during the program had increased significantly (average 5.5/6.0). The end goal is to enable participants to connect the different economic, finance and accounting dots to create a single holistic view. Participants learn how to read and analyze companies’ financial statements and assess the shareholder value of investments and other corporate actions, i.e., learn the skills for value-based management. The program is for e.g. non-financial executives, lawyers, business unit heads, bank relationship managers, board members, advisors and consultants. The Diploma in Corporate Financial Management program provides participants with a rare opportunity to deepen their understanding of the main elements of corporate finance. The Diploma in Corporate Financial Management will be held in an intensive study period from June 3–7, 2019. Learning is based on pre-readings, lectures, in-class discussions, case work and a take-home assignment. Sharing knowledge and experience is greatly supported and encouraged. 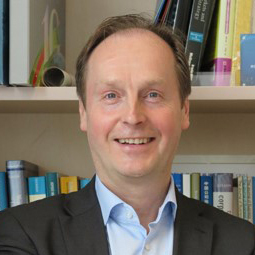 Matti Suominen is Professor of Finance at Aalto University in Helsinki. From 1997 until 2006, he was full-time faculty at INSEAD as Assistant Professor, and later Associate Professor of Finance. Since 2006, Matti has continued to teach regularly in various INSEAD executive programs as a Visiting or Adjunct Professor of Finance. In addition, he has taught finance in several other leading business schools such as the Wharton School of the University of Pennsylvania and Mannheim University. Matti holds a PhD in Financial Economics from the University of Pennsylvania. His areas of research are asset pricing and corporate finance. He has published articles in leading academic journals such as the Journal of Financial Economics, Journal of Financial and Quantitative Analysis and Journal of Financial Markets (where he received the Best Paper Award). Matti previously worked as a consultant at the European Corporate Finance Practice of McKinsey & Co. and as a Chief Dealer in the Options and Futures Markets in Finland. He continues to be an active consultant to both financial and non-financial companies. Matti has taught extensively in the MBA, PhD and Executive Education Programs at INSEAD and elsewhere. In particular, he was Program Director of the INSEAD "Finance for Executives" program from 2002 until spring 2006. He has taught in or directed nearly 30 company specific programs in five different continents for the worlds largest and most successful organizations, including several Fortune 500 companies. He has received best teacher awards from both INSEAD and Aalto University Executive Education. Value-based management helps companies prosper in the fiercely competitive worldTo succeed in business today, you must speak the language of finance, says Matti Suominen, Professor of Finance at Aalto University.